The Lincoln Lawyer – the first Mickey Haller novel – was a brave change of pace for Michael Connelly, who could’ve quite easily maintained his steady annual output of the Harry Bosch series. And what a stunning debut it was, followed-up by equally stellar instalments, all of which I’ve enjoyed, but none of which have quite matched Haller’s inaugural outing. 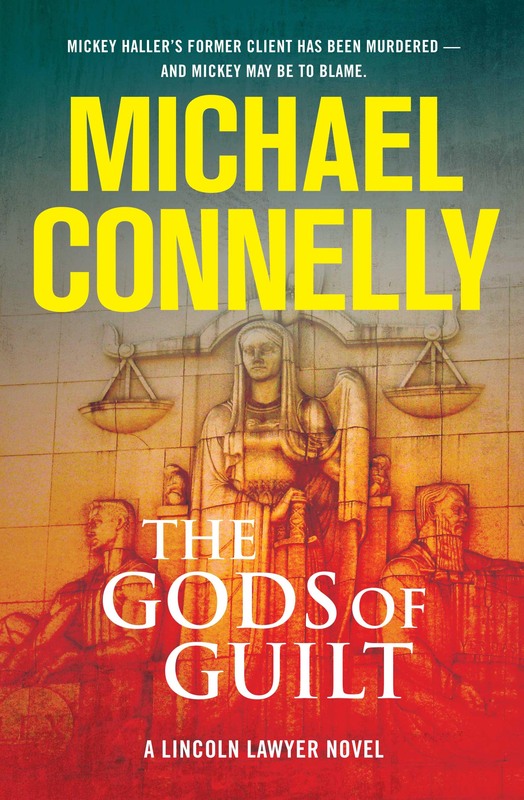 The Gods of Guilt follows that trend – another finely executed legal thriller – but unable top the original. Still, if every attempt is going to be as good as this, I’m more than happy for Connelly to keep trying, and have little doubt in his ability to succeed, and indeed exceed my expectations. I am not a fan of ‘legal thrillers.’ I think it’s perhaps related to the fact I once wanted to be a lawyer – before I realised the work involved in becoming one, and the sheer amount of jargon I’d have to memorize, and the reality hit home that I simply don’t possess the verbal eloquence necessary to sway a jury. Maybe I’m jaded. But Connelly won we over with The Lincoln Lawyer thanks to Mickey Haller’s character and circumstances; a lawyer who works out of the back of a Lincoln is just intriguing as its own concept; when you throw in the fact he’s Harry Bosch’s half-brother, well, you couldn’t keep me away. And after that initial taste I was hooked. Connelly paints Haller as a real person who accepts the reality of his career as a defence attorney; he frequently represents the dregs of society, but understands that he plays a necessary function in the legal system. It’s cost him, though – we learn at the beginning of The Gods of Guilt that he’s estranged from his daughter, who has effectively ‘disowned’ him. His personal life is in a bad way. Enter a new client: a cyberpimp (yeah, that’s a real thing) accused of murdering a prostitute who happens to be one of Haller’s ex-clients (and, of course, one he was particularly close to). From here Connelly weaves a convoluted tale that quickly spotlights all the players and identifies them as good and bad. Don’t expect too many surprises here (although fear not, it’s not entirely perfunctory). This is less a whodunit or thriller and more an intriguing (and indeed illuminating) exploration of the mechanics of the legal system.